February 5, 2016 - On Wednesday House Representatives Bill Shuster (R-PA) and Frank LoBiondo introduced the Aviation Innovation, Reform, and Reauthorization (AIRR) Act, (H.R. 4441). This bill, although offers some good initiatives, is a bill that once again favors corporations. AIRR would strip the Federal Aviation Administration (FAA) authority and control of U.S. air traffic control (ATC) services and turn it over to the private sector. It would place in the hands of congressional donors the authority to over see ATC at our major airports, airports and route structures currently controlled by the FAA. In March, FAA funding will end, a Tea Party approach for refunding the FAA under AIRR Act, H.R. 4441, which is a six-year reauthorization of the Federal Aviation is to ax ATC from the FAA. The Air Line Pilots Association (ALPA) reported they are against the privatization of ATC and said congress has missed an opportunity to correct some safety issues such as the carriage of lithium batteries and properly securing of cockpit doors. That H.R. 4441 does not maintain the current level of aviation safety in the United States. It's rather surprising that the air traffic controllers union, National Air Traffic Controllers Association (NATCA) supports the idea of the breakup, one can only wound if this has something to do with the PATCO Strike of 1981, when 5,000 PATCO members (Professional Air Traffic Controllers Organization) were let go by Reagan. Airlines for America (A4A), the trade group which represents the U.S. airlines also support the breakup. But this comes at no surprise, as the airlines would love to break off from the FAA as the agency has a zero tolerance for the airline culture of passenger abuse (Tarmac rule, Passenger Bill of Rights, etc.) However, Delta Airlines has come out to appose the breakup of ATC from the FAA. Delta Airlines - "Air travelers could be on the hook to cover 20 to 29 percent higher costs if the U.S. moves to a private air traffic control (ATC) organization funded through “user fees,” according to a new study released (The Costs Of Privatizing Air Traffic Control And How It Will Impact Airline Travelers) by Delta Air Lines. "The study, which is a compilation of data from various independent reports, reviewed the ATC fees associated with a privatized model in Canada and the United Kingdom and found that after the first six years of privatization, Canada saw an additional 59 percent increase on ATC-related fees. In the United Kingdom, ATC fees rose 30 percent. The study also included examples of extreme tax increases, and outlined how a privatized, revenue-based system could result in ATC resources being prioritized at larger airports to raise greater revenue, to the detriment of smaller regional airports across the country. "Delta has long held that removing the Air Traffic Organization, which provides air navigation services across the U.S., out from under FAA’s safety oversight is a bad idea for several reasons. Capt. Steve Dickson, Senior Vice President – Flight Operation"
Aircraft Owners and Pilots Association (AOPA) President Mark Baker said that AOPA supports the legislative changes on third class medical certification for general aviation pilots. 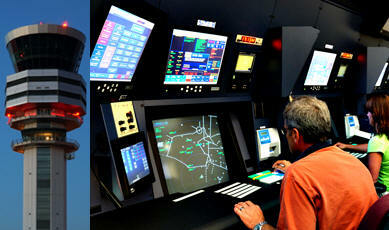 However, AOPA does not support the plan to separate air traffic control from the FAA. Experimental Aircraft Association (EAA), CEO and chairman, Jack J. Pelton said “EAA supports a stable, predictable funding mechanism for the national airspace system, but we oppose this bill as it is now written". “To be fair, there are some good things in the bill for general aviation, which the bill’s co-sponsors say address GA concerns, especially the prohibition of user fees, the reintroduction of aeromedical reform as originally intended, certification reform, and additional FAA authority to help deploy a future high-octane unleaded fuel. “What is also part of the bill, however, is an ATC governance structure that heavily favors airlines and commercial interests, and creates real threats to the services that keep America’s air traffic system the safest and most effective in the world. In January Senator's Thad Cochran, Barbara Mikuiski, Susan M. Collins and Kack Reed wrote, a letter of opposition of the FAA being stripped of its authority to oversee the FAA. "We are writing to express our opposition to legislation that would separate the air traffic control function of the Federal Aviation Administration (FAA) from the rest of the agency and remove that function from the congressional appropriations process....... It does not make sense to break apart the FAA, an essential put of our success in aviation.... Furthermore, the public would not be well served by exempting any part of the FAA from annual congressional oversight."